Rent The Stanley Hotel | Corporate Events | Wedding Locations, Event Spaces and Party Venues. The Stanley Hotel, known for its architecture, magnificent setting, and famous visitors, may possibly be best known today for its inspirational role in the Stephen King's novel, "The Shining." This Colorado hotel has been featured as one of America's most haunted hotels. Nestled 7,500 feet above the ordinary and surrounded by breathtaking views of the Rocky Mountains, The Stanley Hotel is one of the most unique and truly desirable settings for the perfect destination wedding. We offer a variety of site locations for your ceremony and reception, which can either be held indoors or outdoors at one of our beautifully scenic sites. At The Stanley Hotel, we have a proud history and a dedicated tradition of only the very best of service and style. Our wedding packages cater to your every need to ensure your special day is filled with timeless memories and truly unforgettable moments. Let us help you plan for the most important day of your life! We'll provide the view, the exceptional service and the one-of-a-kind atmosphere. Your meeting will be an unforgettable, fun-filled adventure for every participant. Turn your meeting into the ultimate team building experience with unique activities and in unparalleled Colorado beauty. The Stanley Hotel is your ideal meeting destination - from small board retreats to larger functions and even buy-outs - we have the perfect setting for your next event. All of our function spaces are air-conditioned, feature spectacular views of the nearby landscape and offer complimentary wireless internet access. In addition to the magnificent setting, The Stanley Hotel creates winning group functions with our personal service and extraordinary cuisine. 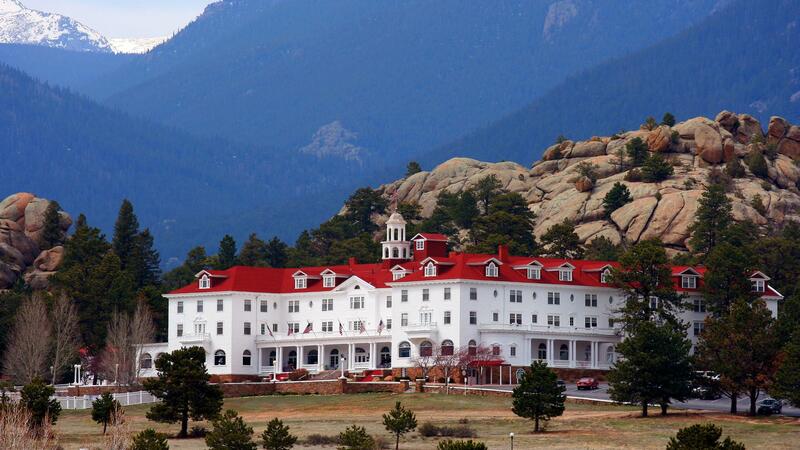 Envision your once-in-a-lifetime day at the beautiful Historic Stanley Hotel, nestled in the majestic Rocky Mountains! We offer a variety of elegant and unique event spaces, one of which is sure to meet your needs and individual style. With the benefit of a full-service hotel, spa, tours department and gift shop, you and your guests will be able to enjoy a memorable and unique wedding experience all at one location. For your wedding day, rehearsal dinner, farewell brunch and any other special occasion, contact our Stanley Weddings professionals to customize an event that will exceed your highest expectations.